Kim Bennet currently works full time in desktop publishing / graphic production. 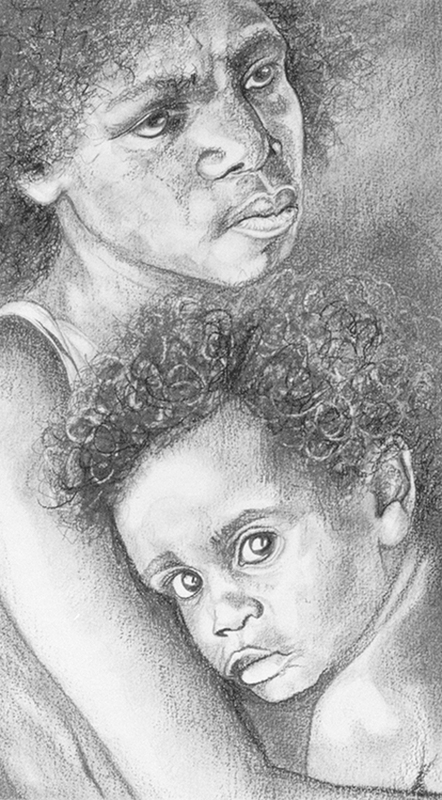 She participates in exhibitions and accepts portrait commissions as time permits. Though born and educated in Sydney, Kim spent almost a decade during the 1980s working with a Christian mission organisation in various parts of Asia and Africa. Whilst based in Singapore, when not on field trips, Kim was responsible for direction of a small arts / graphics office. 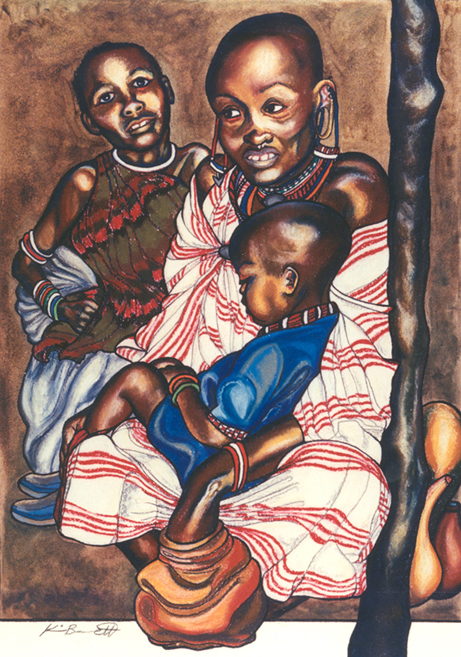 Kim created much original artwork for commercial reproduction for the mission, but her preference was always to depict the locals, (the street vendors, villagers, beggars and indigenous peoples) she met during her work and travels. Since returning to Australia, Kim has continued to travel extensively, to depict the locals, and to exhibit and take commissions as time allows. Kim has been exhibiting with The Royal Art Society of NSW since 1995 where she has participated in various group exhibitions, with preference given to exhibiting portraits and character pieces of various peoples from Asia, Africa and indigenous Australia. 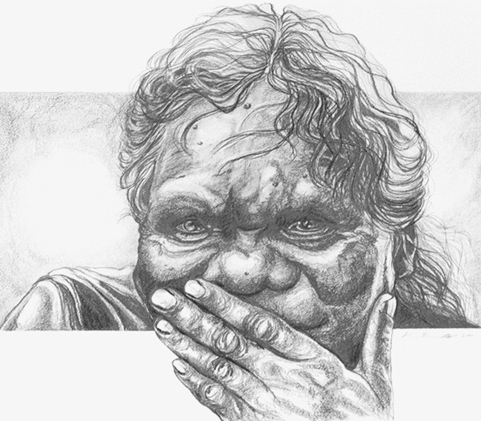 She sees her acceptance into Portrait Artists Australia as a natural progression of her art and her love for God and His many-varied peoples. I am keen to find out about how I could commission you to do a piece of work for me. I have an old picture (good quality) that I would like re-produced as a black and white sketch. Can you let me know if this is something you would be interested in doing and what I would need to do to secure you?